In her long screen career, Veronica Cartwright has done battle with killer birds, chest-bursting aliens, Body Snatchers and The Beaver and in the following interview, a Halloween treat for genre fans, she spills the beans on them and much, much more. Since starting out in the business at the tender age of eight, actress Veronica Cartwright has had a long and varied career that has seen her working with people ranging from William Wyler (in �The Children�s Hour� to Ashton Kutcher (�Just Married�). On the small screen, she has appeared in such shows as �Leave It to Beaver,� �The Twilight Zone� and �The X-Files� and on the big screen, she has been seen in such films as �The Right Stuff,� �The Witches of Eastwick� and �Kinsey.� However, she is probably best to horror fans from her memorable appearances in two of the most famous genre films every made�Alfred Hitchcock�s �The Birds� (1963) and Ridley Scott�s �Alien� (1979). Recently, while visiting Chicago to make an appearance at a special screening of �The Birds,� she sat down to talk about her long and interesting career, her experiences working on �The Birds� and �Alien� and the challenges of trying to look terrified at the sight of a midget in a rat suit. What was your first encounter with Alfred Hitchcock like? 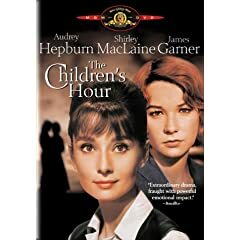 He had seen me in �The Children�s Hour,� which was a film I did that had Shirley MacLaine and Audrey Hepburn and James Garner and was directed by William Wyler, and he requested me. I had done a couple of �Alfred Hitchcock Presents� but I don�t know that he actually saw any of those or if he just served as the host. I went over to Universal Studios to meet him and he was impeccably dressed in this three-piece suit. He found out that I was born in Bristol, England and he goes �Oh, my favorite wine cellar is in Bristol� and he started listing all these wines that I should try someday �when you are old enough.� Then he went off onto how to cook a steak and he told me the best way to do it�you take it out before it is totally cooked because it continues to cook afterwards when you lay it on the tinfoil. He said I needed to know this because one day I would be married and I would need to know how to make a steak. This was totally off-the-wall stuff but I guess that he wanted to see what your reaction would be�whether you could talk or not. He had storyboarded the entire story and he had done it with my character having short hair. At this point, my hair was really, really long, down to the middle of my back, and he wanted me to cut it. My mother said �No, you can�t cut your hair� because at the time, I was getting work as the sort of all-American girl with freckles and you just didn�t cut your hair in those days. Instead, he put me in a ponytail with those bangs and my mother always said that he did that on purpose because I wouldn�t cut my hair. But he was always very nice to me and I would always take him tea in the afternoon at 4:30. He was always very hands-on and you could always ask him any questions. I really liked him and I didn�t know any of the other stuff that was going on or any weirdness�I was 12. He used to tell dirty jokes all the time and I didn�t know what they were about but everyone else was laughing and so I would laugh along. We emigrated to L.A. from England�we moved to Canada for a year and a half and then went down to L.A. My dad had been a technical artist and he went to work in Santa Monica. First we lived in El Segundo, which was right across from the airport, and my parents didn�t know anybody. We moved into an apartment building and my mom talked to the landlady and asked how she could go about meeting people. She said that the lady who lived in the apartment before us had a little girl and she was in show business�modeling and stuff like that. What possessed my mother, I have no idea�we didn�t even have a telephone. She called from the landlady�s telephone and the landlady would tell us when we had interviews. In those days, they were like cattle calls where hundreds of people would go out. The first interview was one that my sister had�she was 3 ��for �Somebody Up There Likes Me� with Pier Angeli and Paul Newman to play the role of their daughter and she got the part. I had long blonde hair and freckles and blue eyes and looked totally all-American, so I did some modeling and then started doing all the Kellogg�s commercials�Corn Flakes and Sugar Smacks and Rice Krispies. Then I wound up getting on �Leave It to Beaver��I gave Beaver his first kiss�and in those days, I played three different characters. You would go on these commercial interviews and they would have everyone line up on the curb and go �You, you and you� and you would step forward and the others would be sent home. I had done a newspaper thing that was two pages of me eating peanut butter. There were literally hundreds of kids at these interviews and my mother told me to make sure that I showed them this thing. So on the way out, I said �Oh, my mother wanted me to show you this thing� and that started a whole thing of more commercials. Then I auditioned for four different characters in �The Children�s Hour� when I was eleven and in those days, when you did screen tests, you did them full on with camera and crew. That started a lot of other work�I did the �Daniel Boone� series, which just came out on DVD�and I just liked it. My sister was off doing �The Danny Thomas Show� and I was off doing movies, so there was never any sort of jealousy. At the time that you were making �The Birds,� did it strike you at all just how strange and radical a film it was for the time�a huge special-effects undertaking with no real stars, no musical score and no conclusive ending? When you think of it now, one of the radical things about it was the casting. My mother was Jessica Tandy, who at the time was in her 50's, her son was Rod Taylor, who was in his 30's and then you had me, who was having her eleventh birthday. Now that sets up a whole set of things right there with the whole Oedipal thing�she had already ousted Annie in order to keep track of her son after her husband died and now this other character comes in and she doesn�t want any part of her because it is clear that her son is interested in her. It was very complicated and very funky. He shot everything in Bodega Bay and then shot everything again on a soundstage in order to get his close-ups. It adds an oddity to it that you can�t quite pinpoint and it sort of makes it creepy. The scene outside of the school with all the birds on the wires and the jungle gym�a lot of them were flat cardboard. Literally, they were flat pieces of cardboard that were shaped like birds and sitting up there on the jungle gym and wires and there might have been fifteen real birds on the jungle gym and maybe a dozen on the wires. I said to him, �Aren�t people going to know that those are people of cardboard?� He said �No, because if your eye sees movement, you assume that it is all alive.� It�s true�you don�t even think of them as cardboard because you see these flutters of movement. I thought that was totally fascinating. They did that in �The Natural��the stadium was all cardboard people with maybe a hundred real extras and it looks like the entire stadium is filled. There were 15,000 birds on that shoot in the living room and when those puppies came down that chimney�oh, that was creepy. We were in a room this size, which was a big plastic bubble with an oxygen tank, and they would pull these things and all the birds would go flying up. Then they would realize that they couldn�t go anywhere and then they would settle�that was so unsettling. Then they would sweep them up with brooms and shove them back in there again. Did you wind up with a fear of birds as a result of the film? Not scared, but I wasn�t overly thrilled with them. Not long ago, I heard this incredible noise going on�this kind of scraping noise. They were trying to pull off my wooden tiles in order to build a nest in my skylight. They were literally standing there in groups trying to pull hunks of my roof off. I went out and went �I�ve done this movie before�just go!� and they just stood there and looked at me and then proceed to continue pulling my roof off. Do you rewatch your movies? If �The Birds� is on late at night, do you rewatch it? I've re-seen �The Birds.� They do a thing down at Hollywood Forever and they show it on the side of a mauseleum with a fabulous print and fabulous sound system and it is totally cool to be sitting out there. We went and saw the play version of �The Birds� - Tippi and I. We did sort of guest cameos in �The Birds� the play, which is hysterical. So, I didn't see �The Birds� that night, but I did go the following week to see �Invasion of the Body Snatchers,� which was also on the mausoleum. It just brings back memories. It was a lot of time in between. Plus I just did a remake of �Invasion of the Body Snatchers.� I have a cameo role in �The Visiting� with Nicole Kidman and Daniel Craig. Would you take a cameo in the remake of �The Birds�? I just heard about this, but I think I should play the Jessica Tandy part. I mean, I'm that age. Why not? Well, remakes aren't always a bad idea. There�s the remake of �Invasion of the Body Snatchers,� which I actually think is better than the original. Well, that was like a continuation. It wasn't like a remake. You had Kevin McCarthy coming and running and getting hit by the car. It was almost a sequel as much as a remake. With that film, there is clearly more going on than just simply a shot for shot retread, which is probably more than what �The Birds� is going to be. Presumably, you're not going to have the hour build up and there will probably be more attacking birds. You've been in several movies that have obtained cult status, such as �Invasion of the Body Snatchers� and �Alien.� What is it about The Birds that still resonates with viewers today? I think it's something accessible. You see it every day. Every time you go out, there's a bird. It makes it accessible to your imagination. 'What if?' It was really well-done and it was a complicated movie, but it wasn't anything you had to figure out. It was complicated in the sense of emotions and how one thing fed into another. I think it's just accessible. It's really interesting. If you think about it, it's the last of his horror movies. All the others were more psychological thrillers. This was the horror genre. And, yea, you can still see, when they have little blue dots in the sky for birds because they didn't know how to do CGI in those days. I did a movie once called �Nightmares� with a rat. God, it was ridiculous. They had gotten a midget and put him in a rat suit. Well, I'm sorry, but a midget is built entirely differently than a rat. And the poor guy kept falling over. So, finally, our director, Joe Sargent goes 'to Hell with it' and grabs this rat suit and yells �Here it is and it's running over there. Fear! Fear!� It was absolutely hysterical. And then they trained some poor little mouse to go on for the pick-ups. It was terrible, just dreadful. You've played such a big part of the horror genre, are you a fan of it as a viewer? I like some of it. I don't like seeing �Saw� and stuff like that. It absolutely doesn't interest me. Frankly, I don't need to see people cut up like that. I think �Alien� is just huge, what can you say? Originally, when Ridley talked about it, he would talk about the aspect that nobody related to the alien, which I thought was a much more interesting point of view. It was almost like a deer being caught. It woke up and it attacks because it doesn't know what to expect and you scared it. Actually, when Ian Holm starts breaking down he says �Did anybody try and communicate with it?� which somehow ended up being rewritten and reshot and that whole element went away, which was sort of a disappointment. I liked the whole psychology of it�it might be ugly, but it might be like beauty and the beast and you shouldn�t reject it because it's ugly. With �Alien,� the story goes that during the big chest-bursting scene that you guys didn't know exactly what was going to happen. Is that true? Well, we knew what was going to happen. We read the script. We weren't stupid. What happened is that Sigourney and I shot a scene after the thing has come out and we didn't know what the hell we were supposed to be looking at. So, we said �Look, we have to know what we're supposed to be talking about.� So, they did take us down to the special effects room and show us a little mock-up, but they didn't show us how it was going to work. They just said �The head will move and it's going to have teeth.� And we said �Oh, okay� so we knew what we were talking about. So, then they take John down in the morning to prep him and we're upstairs for four hours. We're sitting upstairs and nobody knows what the hell is going on. Harry Dean is sitting in the hall playing his guitar. Everybody's sort of wandering around and talking. When they finally take us down, the whole set is in a big plastic bag and everybody's wearing rain gear and there were huge buckets around. The formaldehyde smell automatically made you queasy. And here's John lying there. So, I was told I would get a little blood on me. So, we start to do the scene. They have four cameras going. You see this thing start to come out, so we all get so sucked in we lean forward to check it out. So, we're all leaning forward and they shout �Cut!� They came and they cut the t-shirt a little more because they realized it wasn't going to burst through. So, then they said �Let's start again� and we all start leaning forward and all of a sudden it comes out. I tell you, none of us expected it. It came out and it twisted around because they guy was on a skateboard underneath. And that huge thing of blood hit my face and I backed up and I flipped upside down. It was on the dailies and it was hysterical. It looked like a Keystone Kops thing. But that was it. That was one-off. That was it and that's what you got. And everyone's reaction was totally real. Yes, we knew what was going to happen but not the way it was going to happen. And then all those guts spilled out. It was very well-rigged and very well-done. It was one take. With a movie like that goes on to be so popular, do you ever have a sense while you're making it that it would turn out that way? When we started doing �Alien,� it was a B movie. Ridley hired really good, unknown people, but really good actors. He was an art director. We shot it in England because you could build the sets much cheaper. That was the largest sound stage in Europe. That desert was huge. But, it was a B movie and then they saw twenty minutes of film and then plunked in another eleven million dollars. It was shot for eighteen million dollars. That's nothing compared to what they shoot things for now. But we knew somebody was interested in it. We had all see the dailies and stuff and the alien was fantastic. It was thrilling. Every movie since then, it looks like the alien. Even "The Abyss," that thing had the same shape. It was supposed to be, originally, sort of a hermaphrodite thing. They were going around and the guy who ended up playing him was a graphic artist they found in a pub and asked him if he would go down and audition. When you see design or when you see the dailies, you have to get this feeling that you're doing something different. Well, you saw those pictures, you know, those big huge 'vaginas' and things like that and all of sudden there they are. It's obviously something different. Great people on that movie. Having gone from filmmakers of the Golden Age like William Wyler and Alfred Hitchcock to people like Phil Kaufman in the 1970's to directors today, in general, do you feel like there was a different sense to the different eras and how the directors worked? Yea, it's interesting because I think I went through a period of time where a lot of directors were attending acting courses, so they could understand how to talk to actors and know what they were going through. In the earlier movies, they knew how to get things that they wanted by just talking. When I did �The Children's Hour,� Wyler pushed me too far. You couldn't do that nowadays, nor do I think you would have to do it nowadays. He probably hadn't worked with that many children before and he knew I was accessible to it. What made me so angry was that he literally put me into a thing where I was hyperventilating. It wasn't acting any more. They put me in Fay Bainter's dressing room and my mom was eight months pregnant and they said if she had seen me, she would have had the baby there. I think they took things for granted and could just push you. Afterwards, he came up and said he thought I was fantastic, but was that acting? I don't know. Later on, in like �The Birds,� you were put in a situation where if you see fifteen thousand birds, you're going to react. But I realized I didn't have to think about my dog dying. That was where I discovered that if you just take the situation the way it is, that emotion's going to be there. If you just listen to the person that's talking to you and really listen then you're going to know how to respond. All those things that were instinctual for me were real.